2013 Epcot “Sounds Like Summer” Dates, Times and Duration! Yeah originals are great – and there’s nothing like the real thing (Baby!). Still, I’m always looking for a great value – and for the price of nosebleed seats to see some of the acts that come to town – we can enjoy a day at Epcot and a pretty good tribute band! 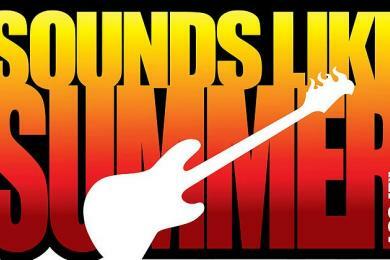 Let’s get excited – the Sounds Like Summer Concert Series is HERE! Dates are June 9 – July 27 2013. Come on out – and if you look closely – you might find a chubby white girl covered in sunblock getting her groove on…(that’s me! )…somewhere near the American Gardens Theater. Guests can catch the shows each night at Epcot’s America Gardens Theater with showtimes being 5:30pm, 6:45pm, and 8:00pm. NOTE! July 4th – showtimes are a little different and will be 5:15pm, 6:30pm, 7:45pm and 9:00pm. The concerts are free with paid admission into Epcot. I don’t know why, but Disney never seems to mention the duration of each concert – so I’ll let you in on a secret. Each set is usually about 20 minutes long. So what do you think? Are you excited about the lineup? Have you seen any of these bands before? Please let me know your thoughts! Now if you’ll excuse me – I’ve gotta go buy some Aqua Net and start teasing my hair into place! ← FREE Video Game Demos at Disney Now Until June 23rd 2013!